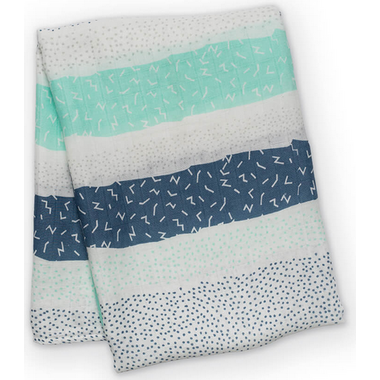 This eco- friendly blanket is made from natural bamboo to keep baby feeling safe and secure. The lightweight fabric helps regulate baby’s temperature, while the loose weave allows for enough stretch to achieve a snug fit. Bamboo is sustainable, 100% naturally grown and perfect for any baby's sensitive or allergy prone skin. 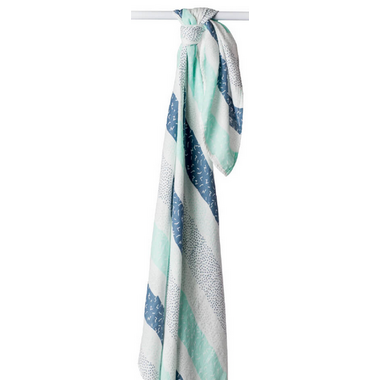 The swaddle gets softer with every wash and can also be used as a blanket, a nursing cover, or a portable crib sheet.